Early November, I woke up with a sinking feeling and an aversion to participating with life. My old friend Seasonal Affective Disorder, (S.A.D) was back. It has hit me every year for as long as I can remember. I can’t wake up fully, I withdraw from social activities and basically move through my day with a low level despair. For many years, I set my life up to travel for the winter months but that’s not in the cards this year. As days of grey increased, so did my anxiety about surviving the winter. My solution is to address it from all angles: light therapy, supplements, affirmation/mantra and S.A.D specific yoga. Many articles suggest S.A.D has to do with an increased production of melatonin (what makes you sleepy) and a decrease in serotonin (what makes you happy). The pineal gland is involved in the regulation of serotonin and melatonin and the stimulation of the pineal gland will be at the core of my S.A.D specific yoga. Here are a couple of practices you can include at home if you too are needing some support with your mood this time of year. Sit in front of a candle in a dark room (or stare at a point tip or a black dot) that is approximately 20inches from your eyes. Gaze at it for as long as you can without blinking. When you must, do so, and then start the gaze meditation again. Set a timer for as many minutes as you can sit for. This technique improves memory and concentration and stimulates the pineal gland. Synchronizing breath with movement (i.e. : Cat-Cow) regulates the functioning of the entire endocrine system. And is an awesome way to start your day. Exhale rest your arms to your sides. Other poses that may be helpful are Shoulderstand and Fish Pose, spinal twists and Headstand variations (consult an instructor for help with these as they aren’t suitable for everyone’s bodies). Keep a gratitude journal. List 5 things in the morning and 5 things before you go to sleep that you are grateful for. 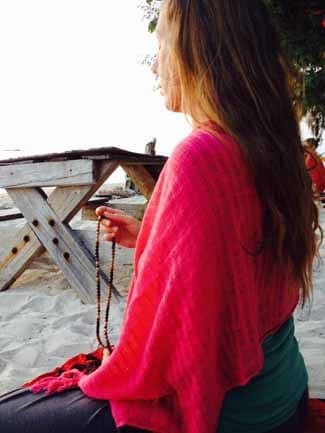 One of the huge gifts of yoga relative to S.A.D is that on the mat, we are encouraged on witness thoughts without engaging in them. We become aware of all the ups and downs internally that show up even in the span of one class. We are invited to observe them and compassionately decide if they are helpful to our well being or not. And this is exactly what I’ve been doing this past week in the dark mornings and afternoons. Staying vigilant about negative self-talk and devoting a little extra energy to sustaining my sanity through these simple but potent techniques. 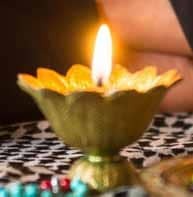 May your light stay lit these winter months and should you need extra support, check out my Yoga classes at Purple Lotus Yoga in Penticton, or join me for the SOYA Yoga Teacher Training from March through June. 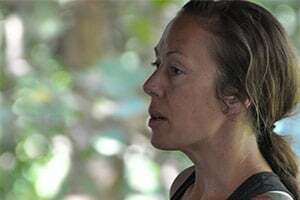 Kamala Wilkie is the SOYA lead trainer for the 200 hour and 300 hour Upgrade yoga teacher training programs. She is the owner of the award winning Purple Lotus Yoga studio in Penticton. Have a quick listen to what Kamala has to say about the teacher training! I found an app for my iPhone that allows me to set daily reminders for sunrise and sundown each day. The app calculates the time each day based on the users location. Although there are many days during the winter months that are not sunny, the reminders is helpful to look outside each day and head outside if there is some sun to soak in and re-energizer during the winter months (and year round).